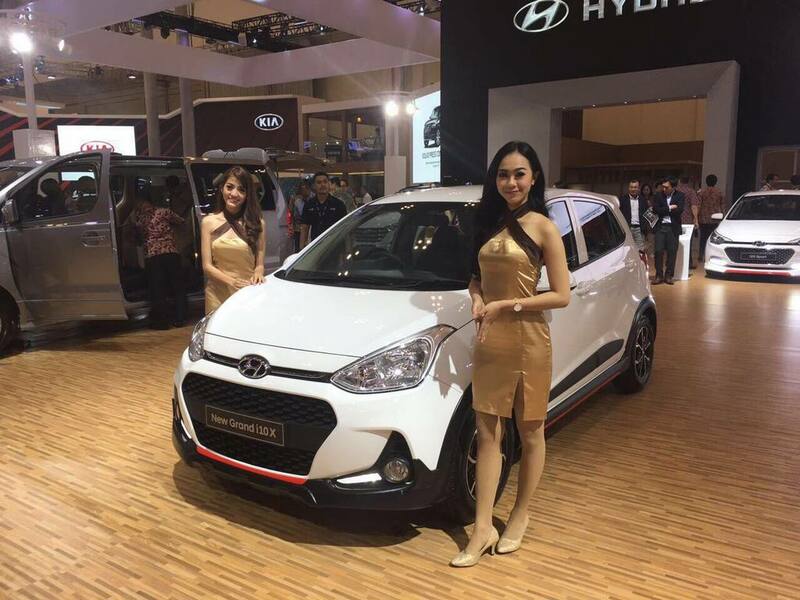 Right after its debut in July in Indonesia, Hyundai has introduced the Grand i10X, essentially the kitted up facelifted version of the small hatchback, at the ongoing 2017 GIIAS. The South Korean auto major produces both the regular as well as the i10X at its Indian facility at Sriperumbudur near Chennai before getting shipped over. 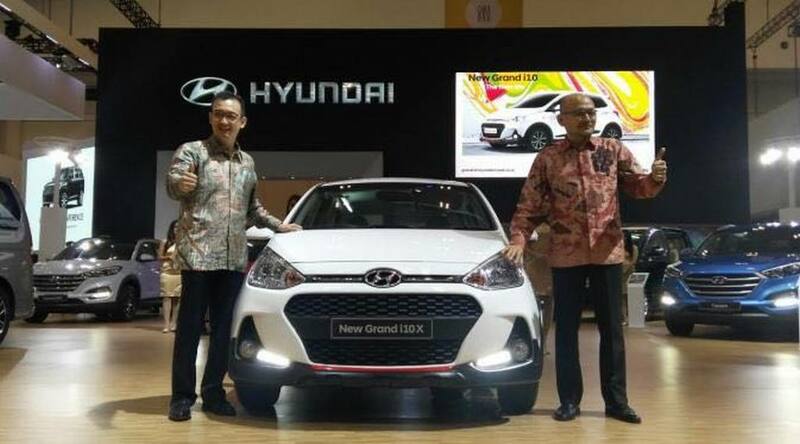 The starting price for the entry-level i10X is 170 million rupiah (Rs. 8.16 lakh) and has some noticeable changes to justify the premium over standard i10 facelift. The reworked bumper has seen black plastic covering and it runs through the wheel arches and to the rear. The red lining on the sides and the lower portion of the face brings a sporty touch to the vehicle. 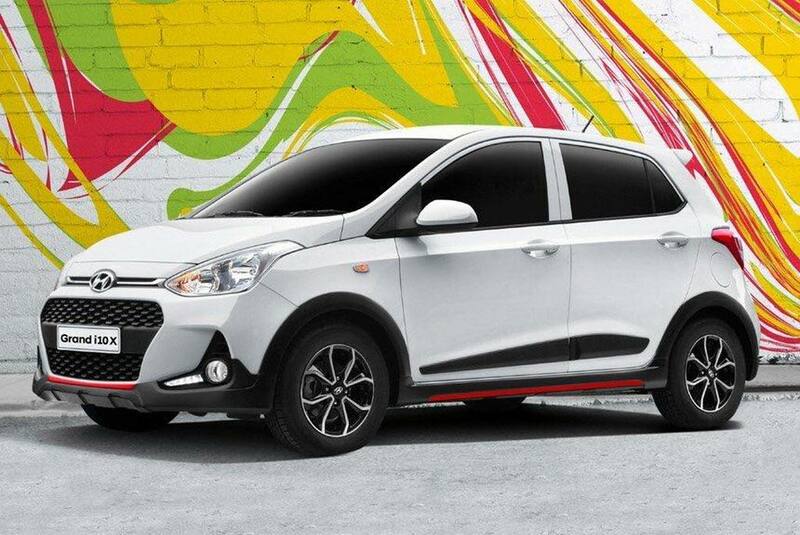 Special to the i10X is the newly designed set of alloy wheels while the rear-end features silver bumper and dual exhaust pipes. Despite all the flashy changes to the exterior, the interior remains similar to the regular Grand i10. It gains a two-tone black and beige colour scheme amidst no revisions to the steering wheel. Hyundai has increased the ground clearance by 15 mm but rest of the dimensions stay identical. It derives power from the 1.25-litre Kappa petrol engine which is good enough to produce a maximum power output of 87 PS and 120 Nm of peak torque. Transmission duties are done by a standard five-speed manual or a four-speed automatic. Hyundai entered the Grand i10 facelift earlier this year in India and it received cosmetic updates along with interior revisions and a new 1.2-litre diesel engine. 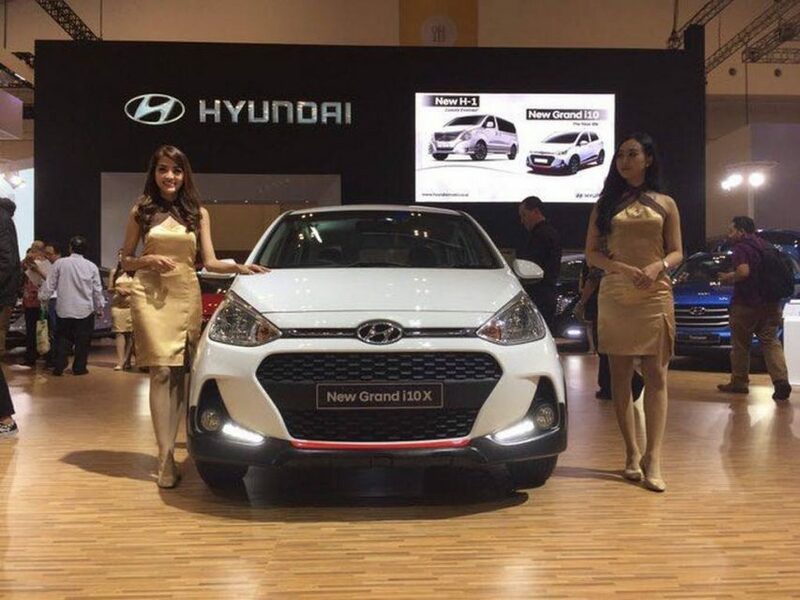 It is one of the key sales drivers for the company besides the Elite i20 and Creta. Sold in 12 different trims, the Hyundai Grand i10 is currently priced at Rs. 4.56 lakh for the base petrol and it goes all the way up to Rs. 7.27 lakh (ex-showroom, Delhi) for the top-spec Asta diesel variant.